Looking for the best fridge freezer deal? Whether you're finishing off your kitchen design with a sleek looking one or replacing an old appliance, this big ticket purchase is worth shopping for at a discount. Don't waste your time trawling through sites trying to find the best fridge freezer deals, just come to us – we've dug out all of the best fridge and freezers – from American-style ones to ones specifically made to hold your wine collection, and even upright and chest freezers. Head over to our our deals page for all the latest bargains. Check out all our appliances buyer's guides, too. With 20 per cent off right now, this 63litre fridge is a handy place to store all of your beverages. You can control the temperature , it can store 93 cans of drink and the shelves are removable incase you need to put something large in there (Christmas turkey?). Don't sweat if you haven't found what you were looking for above, as we've got tons more cheap fridge and freezer deals below. Is the fridge or freezer I like right for my kitchen? Before you buy in a rush, desperate to score that brilliant deal, be sure to check you've got an appliance in the right size and configuration. Always consider the space you have available, too. A side-by-side fridge-freezer may look magnificent in the brochure, but will overwhelm small kitchens. A slender fridge-on-top, freezer-at-the-bottom model is best for compact rooms, and if you don’t freeze much, a tall fridge with a single freezer compartment will suffice. For those who enjoy their wine, a bottle rack is beneficial, and for those who store enough sauces and condiments to run their own café, extra door storage would be most useful. 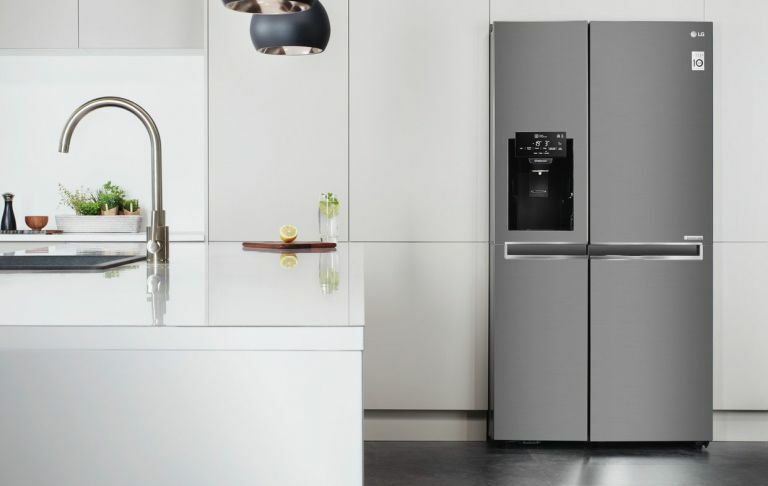 Consider integrated fridges and freezers, too – these are ideal for both small kitchens and ones you want to look completely streamlined. It's also worth thinking about its interior capacity. Some, like Doctor Who’s Tardis, are bigger than they appear on the outside, so be mindful of the litre capacity, as being stuck with a fridge or freezer that’s smaller than you need is an expensive mistake. If you just want a fridge to store your food in and that's it, then the majority of fridges and freezers will suffice. However, look out for models with a water dispenser, an ice dispenser, and even smart appliances, complete with built-in Wi-Fi and cameras. Don't forget to look out for your new fridge or freezer's energy rating, too. You should also note the noise output in decibels. If you're looking to store the product in a garage or annexe, it's not as much of a problem, but if you have an open plan kitchen diner and living space, be sure to go for an fridge or freezer which won't disturb your downtime.